Observations and guidelines to conduct hydrostatic pressure tests of pipelines and/or process equipment. Concerns for hydrostatic pressure tests relate to the water itself, including any suspended solids, dissolved oxygen, or any Sulfate Reducing Bacteria (SRB) or Acid Producing Bacteria (APB) present in the test water. 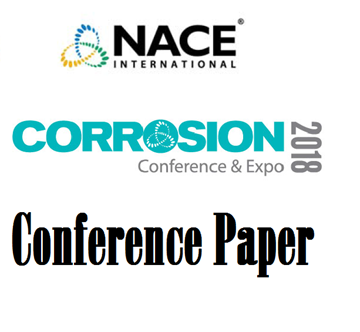 Eight breakthroughs in corrosion control or materials engineering in the pulp and paper industry over 80 years were examined. Keys to success in research and implementation. Successful research had focused goals, were well-planned and involved funding and the engineers who implement results. The alloys (used in chem/process industries) are usually in the solution annealed condition & must be fast cooled from the annealing temperature to prevent the precipitation of third phases such as sigma chi nitrides & alpha prime. This paper describes a reactivation test to detect alpha prime - used with 22%Cr and 25% Cr alloys. Case studies. 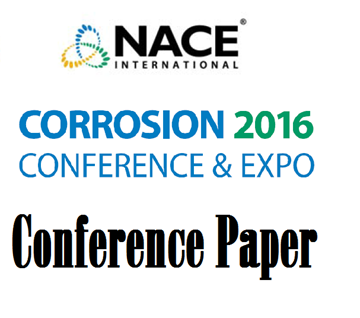 The purpose of this study is to investigate the effect of amount of oxygen on corrosion rate of steam loop. Consequently, to eliminate failure, more effective steam quality monitoring concept is recommended. Corrosion in modern paper mills accounts for 30+% of maintenance expenses. Molecular microbiological methods (MMM): • Quantitative polymerase chain reaction (qPCR) and QuantArray were employed to examine MIC at four paper mills each with unique process characteristics and construction materials in the affected areas. This paper outlines a study to assess existing mechanical and chemical cleaning techniques in oil processing plants, natural gas liquid (NGL), and utility facilities. The cleaning assessment covered the major equipment at crude stabilization units. Selected Fe- and Ni-based alloys and superalloys have been exposed in 99.995% supercritical carbon dioxide for 500 hours at 750°C and 200 bar. Post exposure examination provided information on corrosion rates, microstructural evolution and the carbon concentration in the exposed materials. 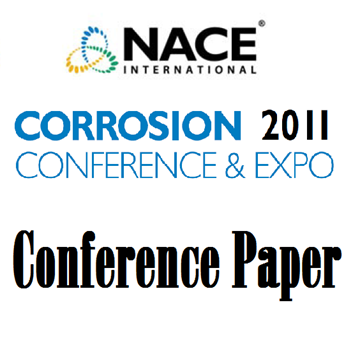 51318-10628-The Effect of Gas-Liquid Flow and Inhibitor Concentration on Corrosion in CO2 Absorption Process. The effect of gas-liquid flow and inhibitor concentration on corrosion of carbon steel was evaluated by laboratory experiment. Continuous wash water injection in gas recovery units (GRU) is a best practice for corrosion control. The case study describes failures that occurred in the wash water injection system. Hydrazine is used as an oxygen scavenger to control corrosion in steam generating systems, despite being a genotoxic carcinogen. 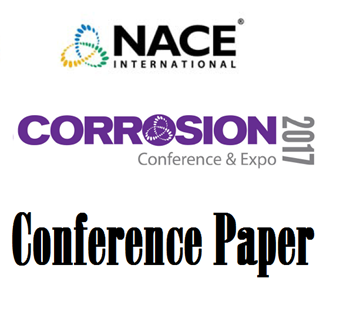 This investigation confirmed an Amine Base Vapor Phase Corrosion Inhibitor can be an effective replacement for toxic hydrazine. This study reports the tolerance of phosphonates with hardness ions under a variety of test conditions (i.e., temperature, type and concentration of hardness ions, total dissolved solids, etc.). A polyethylene unit experienced a gas leak within a high pressure tube and shell heat exchanger. Failure analysis revealed that the tube wall loss was beneath residual deposits. Preventative measures and improvements in inspection & cleaning procedures are discussed.